Patti Garvey is a serious player. Originally from Wheaton, Illinois, Patti began her studies of the cello in public school, and went on to receive a bachelor’s degree from the Eastman School of Music and a master’s degree from the Cleveland Institute of Music. Following school, Patti joined the cello section of the Rochester Philharmonic, the New World Symphony, and the Pittsburgh and San Diego Symphonies. While living in Los Angeles, she played with the Santa Barbara Symphony and enjoyed performing on American Idol, the Voice, X-Factor, Glee, with Bono and The Edge, DJ Skrillex, and in movie soundtracks including A Good Day to Die Hard, The Woman in Black, and Wolverine. Patti went on to study the techniques of Venezuela’s music program, El Sistema, in Caracas and El Sistema USA in LA, and to perform with the Chicago Philharmonic, Illinois Philharmonic, New Phil, and the Northwest Indiana Symphony, and has played Carnegie Hall, Chicago’s Symphony Center, Cleveland’s Severance Hall, Miami’s New World Center, Teatro Teresa Carreño of Caracas, Teatro Colón of Buenos Aires, and Konzerthaus of Berlin. 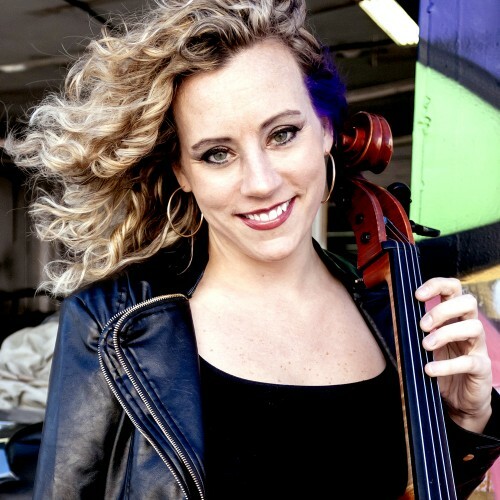 She maintains an interest in early music, playing the bass, tenor, and treble viols and baroque cello, and performs as a cellist and viola da gamba player with the GRAMMY®-nominated ensemble Seraphic Fire, and as a dedicated music teacher, has taught students aged two to seventy-two in settings ranging from music schools to prisons.